Do you love sacred and choral music? So do we. 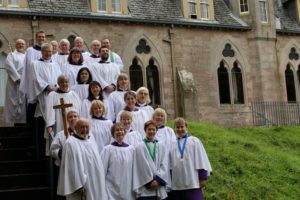 Most St Peter’s services are augmented by our lively choir. 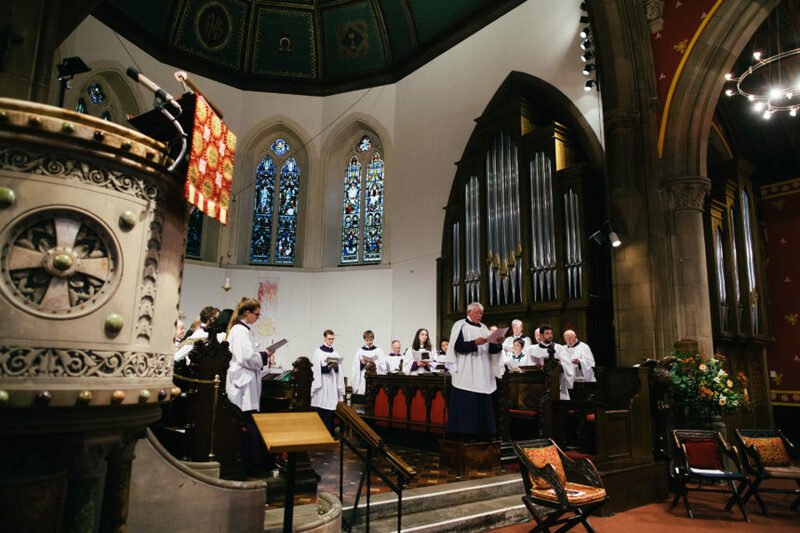 The choir includes a junior section for children age 8 – 16 to learn choral music from the renaissance to the present day during rehearsals on Thursdays from 7 – 8 pm. This follows the optional Voice for Life session at 6.15pm. The choir is always open to new members. Just come along to a rehearsal on Thursday evenings at 7.45 pm or make contact with our director of music, Rupert Forbes on 0131 664 3030. After rehearsals the adult choir members usually go for a drink together. And several times a year St Peter’s choir sings at different churches and cathedrals around the country. Check the calendar for upcoming dates and the choir blog for news.